At first glance you might think, too preppy. But take a closer look. Sperry challenged me to redefine “preppy” and mix their loafer style to make it my own. Penny loafers make me think of white dress shirts and I wanted to stay true to that. After all, your outfit should kind of have a story so it doesn’t feel too thrown together. I liked the idea of going a bit bohemian (surprise, surprise) and wearing a slubby laid back take on a button down. Paired with a flare crop pant with frayed edges and layered gold necklaces, my look feels relaxed and timeless. I think I feel a new uniform coming on! 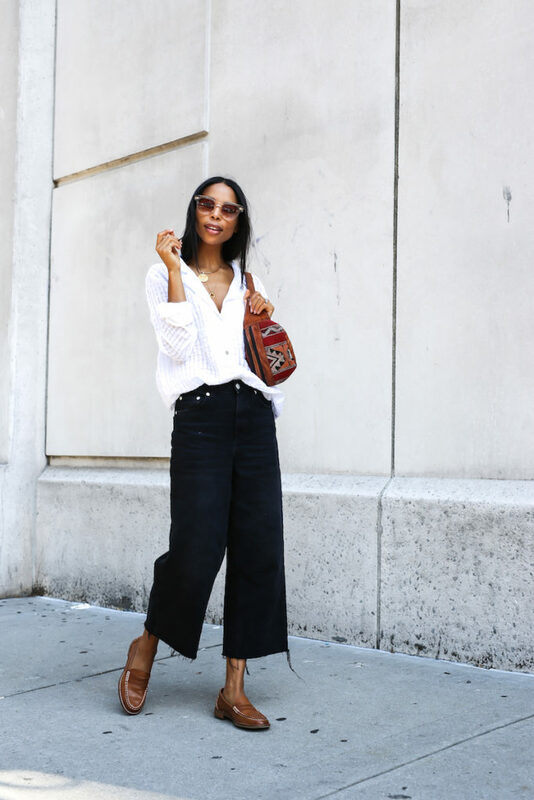 Whether classic pennies, mules, or sporty, the loafer look is a fun summer alternative and will transition seamlessly into fall. 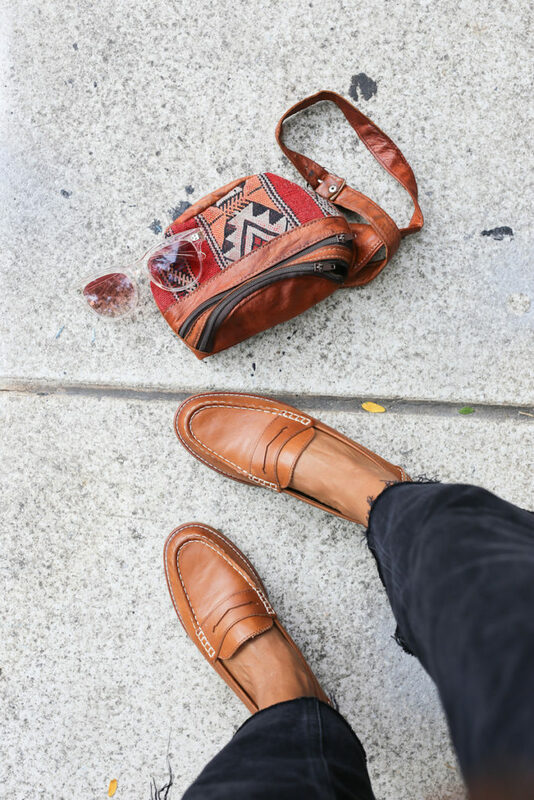 You can shop my edit of Sperry’s loafers above. I must say that this pair is the comfiest loafer I’ve tried. Move over sneakers. And the leather is wearing quite nicely so far. I’m excited for this new addition to my wardrobe and can’t wait to see how these babies wear over time. 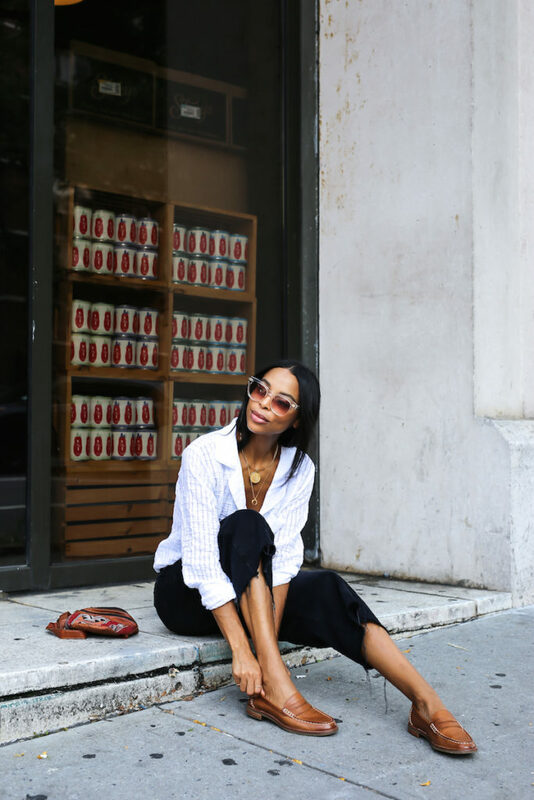 Loving this easy but chic look! Love your site! Your wedding dresses were beautiful, and the outfit on this page is super chic. As such, I purchased the pj set and wide crop jeans AND made an appt to try on a few of the designer wedding dresses you wore for my upcoming wedding. So glad I stumbled across your site.